When a town has high electric bills and no available land for a solar farm, a floating solar plant on the pond of a waste water plant makes great sense. Walden, Colorado, population 750, elevation 8,000 feet plus, and land area of 0.34 square miles, is such a town. “We were spending about $22,000 a month for electricity for the water treatment facility, and this 75 kW solar installation will save us $10,000 a month,” says Jim Dustin, mayor of Walden, Colo. “We’ll pay for the plant in 20 years, and it is still expected to run 10 more years after that,” he says. The plant technology was furnished by floating solar specialists Ciel & Terre USA and was installed by GRID Specialists. The $400,000 cost of the plant was offset by a $200,000 grant from the Colorado Department of Local Affairs, which manages revenues earned by oil and gas development tax in the state. The project also was supported by the Colorado Energy Office. “The Energy Office is interested in this installation because it gets down to minus 40 or 50 degrees in the winter, and we have very high winds. They want to know if the technology will work, because there are irrigation ponds and unused water bodies all over this state,” says Dustin. The energy office has offered $120,000 to move the installation to another location if it doesn’t work in Walden, he adds. The Energy Office is also interested in conserving water in the state, where evaporation reduces holding pond levels by up to 90 inches per year, according to Taylor Lewis, a program engineer at the agency. “We have 2,000 man-made reservoirs in the state to keep water so if we can identify a few where it makes sense to cover them with solar, there could be a double benefit of water savings and electricity generation,” he says. 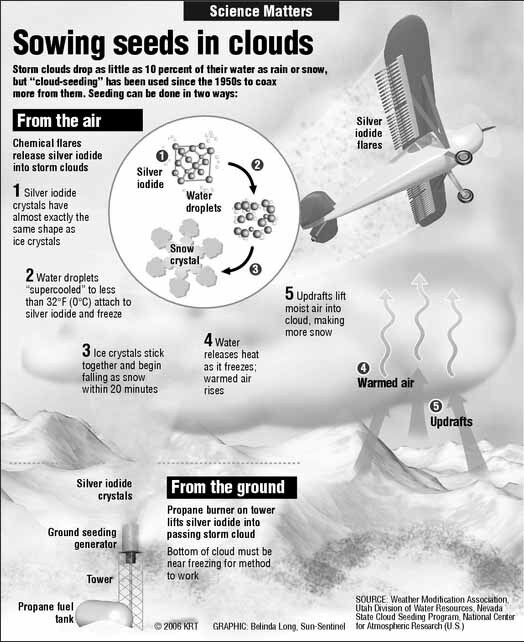 The concept of covering drinking water bodies to reduce evaporation is not new. “I’ve been looking at claims by the City of Los Angeles that they have saved billions of gallons of water over the past 10 years at four reservoirs, using black floating plastic balls,” Lewis says. “We’re interested in studying the impact with floating solar here,” he adds. Johnson Controls came up with the initial idea of a floating solar array for Walden, says Dustin. “The floating solar array is a milestone for the Town of Walden and highlights the potential for Colorado’s overall energy efforts,” said Rowena Adams, a Performance Infrastructure account executive at Johnson Controls, in a statement. “It was a practical choice for Walden given the surrounding bodies of water and the town’s energy resiliency efforts at the Town Water Treatment Facility, as well as the desire to conserve water and minimize algae growth,” Adams said. 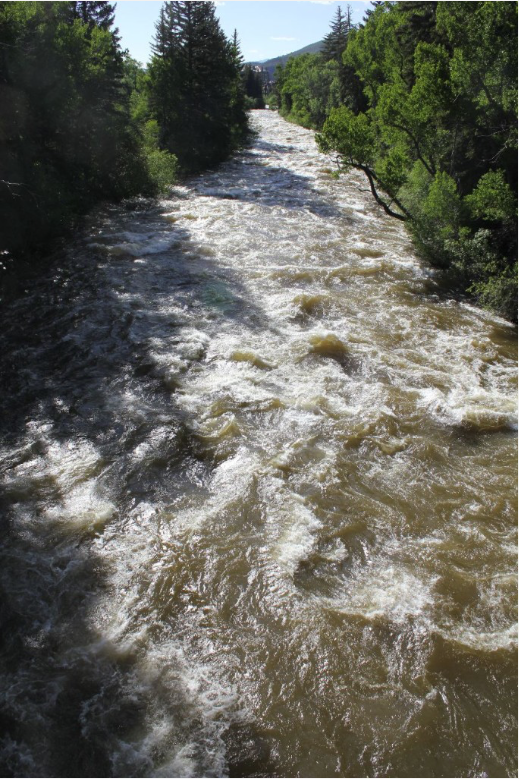 Ciel & Terre, the technology provider, has more water projects in mind for Colorado. “With demand for solar power continuing to rise and available real estate becoming more expensive, floating solar is the ideal solution for anyone with a manmade pond or body of water. It’s cost-effective, quick to install, easy to maintain, and offers a variety of environmental benefits,” said Eva Pauly-Bowles, the representative director for the US office of the French company. “Floating solar is no longer an exotic niche in the US, but a rapidly growing sector of the solar market. Ciel & Terre USA has other larger floating solar projects under construction and planned across the country,” Papuly-Bowles said. Deploying a floating solar array on manmade bodies of water improves energy production by keeping the solar system cooler, Ciel & Terre says. At the same time it reduces evaporation, controls algae growth, and reduces water movement to minimize bank erosion, it says. 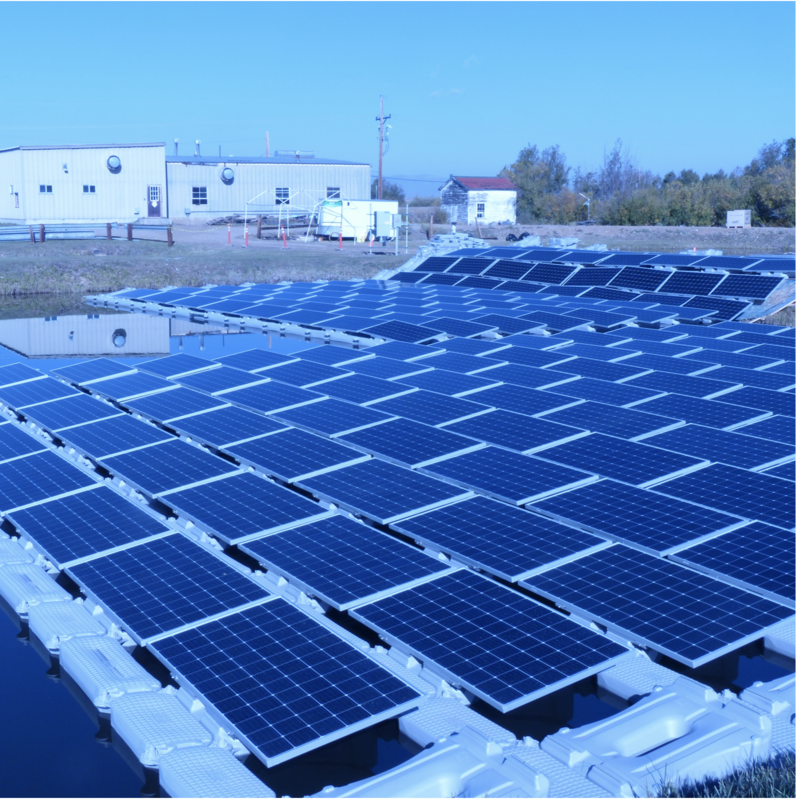 Floating solar arrays also make optimal use of pond surfaces, providing clean solar energy without committing expensive real estate or requiring rooftop installations, the company adds. Established in 2006 as a renewable Independent Power Producer (IPP), Ciel & Terre has been fully devoted to floating solar PV since 2011. The French company pioneered Hydrelio, the first specific and industrialized system to make solar panels float on water, with criteria such as cost-effectiveness, safety, longevity, resistance to winds and waves, simplicity, drinking water compliance, and optimized electrical yield, the company states in its profile. Ciel & Terre has floating solar installations in Japan, Korea, China, UK, France, Brazil, Singapore, Malaysia, Italy, and Taiwan as well as the United States. The company has its United States headquarters in Petaluma, California. When early explorers Zebulon Pike and Francisco de Coronado came upon the High Plains, they described it as a desert — an impossible region to farm. Irrigation changed that. It allowed residents to pull water from the Ogallala Aquifer, and grow crops nearly anywhere. The first irrigation wells in Kansas were drilled east of Garden City in 1908. The Ogallala is a massive, underground sponge, spanning from South Dakota and Wyoming, down through the High Plains to west Texas and New Mexico. Over 27,000 of the total 35,000 wells with active water rights in Kansas overlie the Ogallala, with 87 percent used for irrigation. But decades of pumping water out, with little return, has taken its toll. After 110 years of drilling and draining, the world’s largest aquifer is drying up. 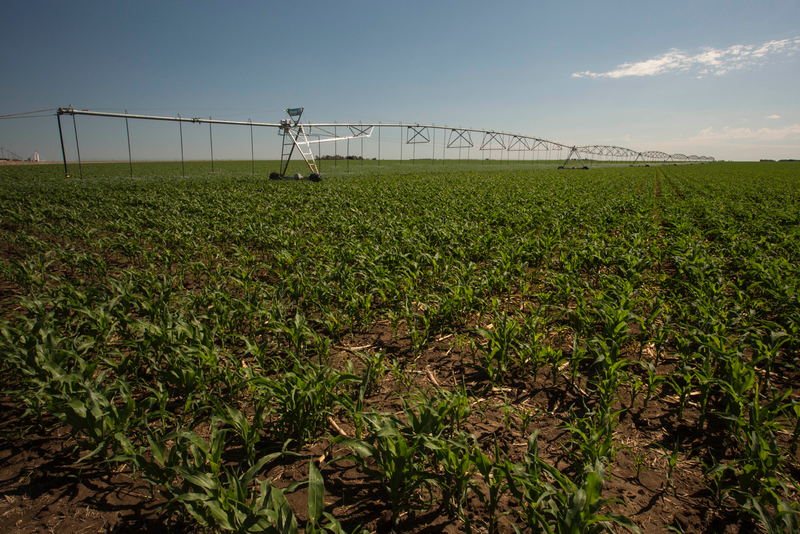 The Ogallala Aquifer Summit was organized by Colorado State University’s Ogallala Water CAP Program — a coordinated agriculture project funded by the United States Department of Agriculture – National Institute of Food and Agriculture. The summit brought together scientists, government agents and producers from the eight states situated over the Ogallala to discuss shared challenges and current initiatives to preserve the aquifer. 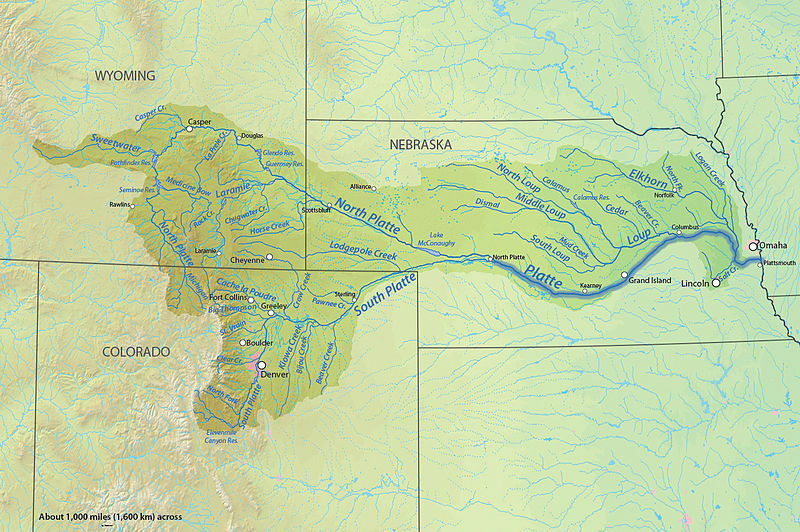 Conversations between states had a rocky start, partly because they were spurred out of litigation regarding the Republican River basin along the Colorado, Nebraska and Kansas borders. The conflict led to monthly meetings of the Republican River Compact Administration — comprised of one member from each state — to change the approach and improve water management. “No offense to those that are here, but I’m just excited to come to an interstate water conference that doesn’t have more lawyers than it does farmers and ranchers,” Kansas Secretary of Agriculture Jackie McClaskey said to applause from the summit crowd. Nebraska Natural Resources Program Director Jesse Bradley and Colorado Commissioner of Agriculture Don Brown joined McClaskey for the first panel of the summit, discussing the cultivation of interstate conversations. She credits interstate conversations regarding the Republican River as a critical factor for changing the tone of the discussion. Instead of fighting over the water, the group is now working together to preserve water. “The biggest way we learned this lesson is from the complete 180 we’ve done on the Republican River discussions,” McClaskey said. 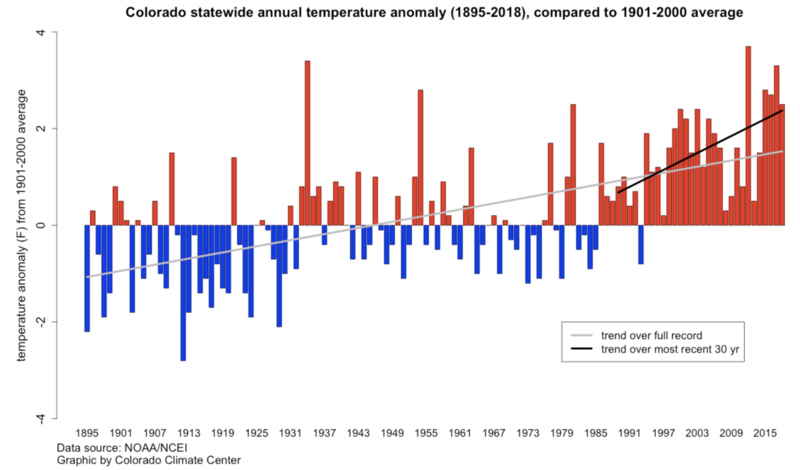 “In July 2014, we started meeting month-to-month and created a true, long-term agreement, and are using those lessons to expand to all the states.